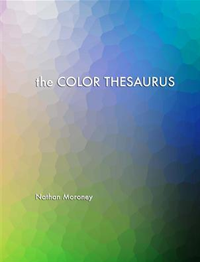 At the beginning of color perception there is radiant energy. 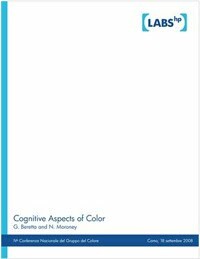 Because its treatment in color science is slightly different from what we learned in high school physics  it can be limited to the visible domain  I give a brief overview of the sources of radiant energy of interest to CIE (Commission Internationale de l'Éclairage) colorimetry. 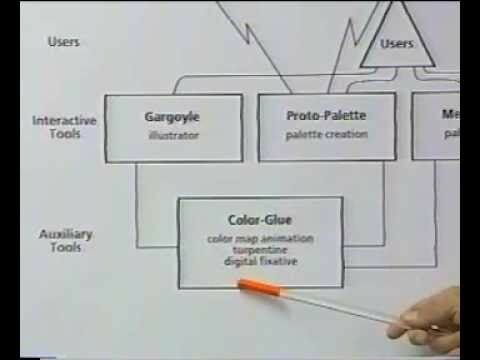 The material is excerpted from the Wyszecki and Stiles book. The energy of a photon is Planck's constant times the photon's frequency. 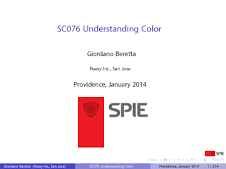 In color science we are interested in the radiometric quantity's spectral distribution in terms of that quantity per unit wavelength interval. By definition, a photon's frequency times its wavelength is the speed of light, which allows us to go from the formulas based on frequency common in physics, to formulas based on wavelength as we like them in color science. For us humans, the most important natural source of radiant energy is the sun. The components of daylight that play a key role in color science are direct sunlight and sunlight scattered by the atmosphere. Consequently, when we talk about daylight, we must state whether it refers to direct sunlight, scattered light, or a combination of the two. 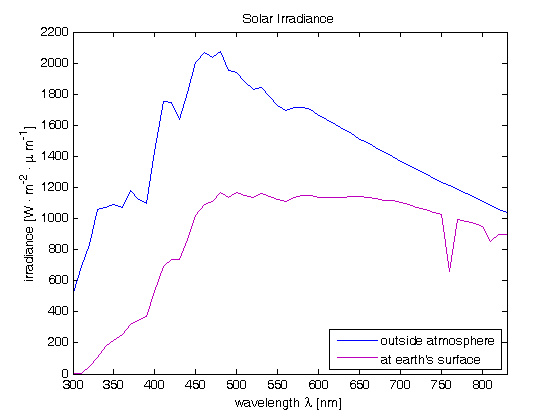 The plot below shows the spectral irradiance for the solar disk outside the atmosphere (blue) and at the earth's surface at air mass 2 (violet). The air mass is defined as the ratio between length of path within the atmosphere for rays from the sun to the observation point on earth, to the corresponding length of path for a hypothetical position of the sun at the zenith. Therefore, air mass 2 means a sun altitude of 30º. The CIE then recommends a calculation of the spectral radiant power distribution given the chromaticity coordinates of a particular phase of daylight. These chromaticity coordinates cluster around a curve called daylight locus, which runs slightly above and parallel the Planckian locus in the CIE chromaticity diagram. The Planckian locus is the curve generated by the chromaticities of Planckian (blackbody) radiators operating at different absolute temperatures measured in degrees Kelvin (K). Daylight from the sun plus the total sky, ranges in a correlated color temperature (CCT) from 5,000ºK to 7,000ºK, regardless of cloud coverage. Daylight from the north sky (i.e., from the total sky but with the sun occluded) has a CCT above 7,000ºK. Daylight from the sun disk alone or from the sun disk at low altitudes plus sky generally, corresponds to a CCT below 5,000ºK. This is a big difficulty in designing digital camera software that handles correctly sunset pictures, because it has two handle two radically different light sources in the same image: the north sky and the sun disk. A thermal radiator (hot body) capable of providing a spectrum dependent on the temperature alone is called a full radiator, Planckian radiator, blackbody radiator, or cavity radiator. Any surface that emits radiant energy identical in all respects with that from a small aperture in a constant temperature enclosure is also described as a blackbody radiator and is characterized similarly by one parameter, the temperature T.
The radiant energy emitted by an incandescent solid is always less that that emitted by a full radiator at the same temperature, and the ratio of thermal excitance of a hot body to that of a blackbody radiator at the same temperature is called the emissivity. In the visible range, bodies like carbon, platinum, and tungsten have spectral power distributions approximating that of blackbodies, but the emissivity is not constant. A considerably better light output can be obtained by adding a small quantity of halogen to the filling gas. Halogens are negative elements like bromide, chlorine, fluorine, and iodine. A completely different source of radiant energy are electric discharge lamps. Here usually the radiant energy is produced by passing an electric current through a gas or vapor. Accelerated electrons collide with the gas molecules yielding excited molecules and atoms, ions and more electrons. When the excited particles return to their normal states, the excitation energy is emitted in the form of quanta of radiant energy, i.e., photons. In contrast to the hot bodies, these excited particles yield line spectra. Therefore, their light quality is quite different from that of natural light. Examples of discharge lamps are mercury vapor lamps, fluorescent lamps, high-pressure xenon arc lamps, and flash tubes. 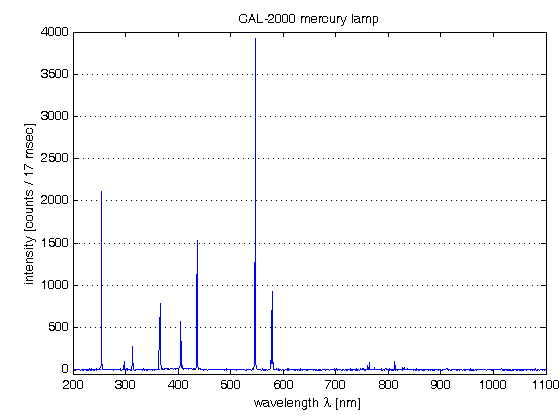 The figure below (data courtesy of Dr. Dmitri Boiko) shows the spectral distribution of an Ocean Optics CAL-2000 mercury lamp. On the abscissa is the mercury part of the spectrum and on the ordinate are photon counts. To obtain a better light quality, the mercury vapor and fluorescent lamps are coated with layers of "fluorescent" materials (phosphors), which absorb the half of radiant power emitted in the ultraviolet domain and emit it in a continuous spectrum in the visible domain, especially when activators are added. Today's ubiquity of display projectors has created a large market for mercury vapor lamps, from which a large cost reduction and quality improvement has ensued. 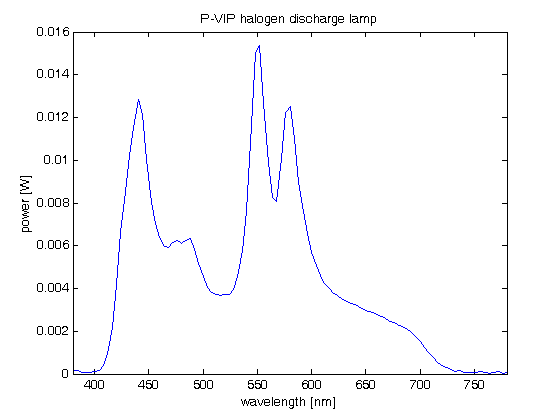 The figure below (data courtesy of Jeffrey DiCarlo, Ph.D.) shows the spectral distribution of a modern halogen discharge high pressure mercury lamp. Such a lamp has a typical luminous flux of 2,600 lm, a luminous efficacy (burner) of 55 lm/W, an average luminance of 100,000 cd/m2, and a correlated color temperature of 5,800º K. Note that the axes are different from those in the previous plot. In colorimetry, we do not want to bother with a myriad of actual lamps. Rather, we would like to restrict ourselves to a few specific and well-defined spectral distributions of radiant power incident on the sample under study. The CIE recommends a set of such spectral radiant power distributions called the CIE standard illuminants. In practice we need only the relative spectral radiant power distributions. The curves are normalized to 100 at 560 nm. 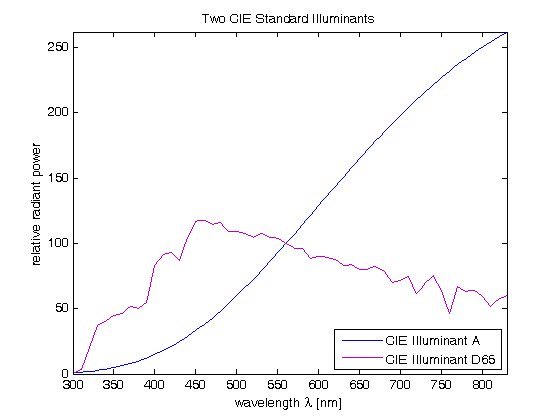 The figure below shows to important illuminants: CIE standard illuminants A and D65. Illuminant A represents light from the full radiator at 2,856º K. Illuminant D65 represents a phase of natural daylight with a CCT of approximately 6,504º K.